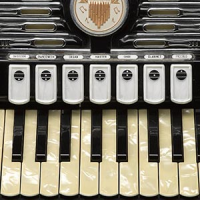 Vintage Accordion is a virtual instrument based on a vintage Italian accordion made in Castelfidardo in the 60s years. "To realized it I made a deep study about its special sound. I love that sound and all its expressive variations! To capture its soul I worked with amazing technical tools (from microphones to sound card, from editing software to developement system)! I recorded, edited and looped almost 1300 waveforms for a total of 2GB of memory storage. All samples are perfectly looped. I recorded all the registers of my accordion, all the keys for 4 velocity layers and 2 round robin. 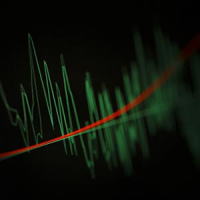 I adopted a filter to simulate the harmonic variation of sounds during its dynamic range. I separately recorded the key-on and key-off noises for a more realistic sound! Now I can tell: "Yes! This is its real sound!". "Vintage Accordion" is based on an old Titano Accordion made in Castelfidardo (Italy) by Victoria in the 60s years. 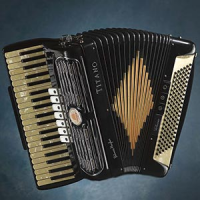 This instrument is one of the most acclaimed vintage accordions on the market. Its sound, with the "tube chamber" solution, allows the musicians to explore all the expressive possibilities that an accordion can produce! I live near Castelfidardo. In this nice place I had the possibility to meet amazing people who dedicated their life to the sound of this instrument. Some of theese, like Vitaliano Morbidoni (photo) and now Roberto Morbidoni knows all the secrets of the accordion sound and construction. I recorded my vintage accordion with a Neumann TLM103 large diaphragm microphone thru an amazing Apogee Symphony I/O converter with its own Mic Preamp card for the best audio resolution and musical details. All the 1289 samples are in 96kHz/24bit resolution! By a careful analysis of the sound I found a great variation of the harmonic spectrum during the dynamic range of the reeds. This fact depends on the high quality of the hand made reeds of the instrument. Yes, I tried to reproduce this amazing feature! I used 4 dynamic layers and 2 round-robins for each note of the instrument. A special filter modulated by expression pedal allows a great "crescendo" effect to obtain a real bellow controlled sound. 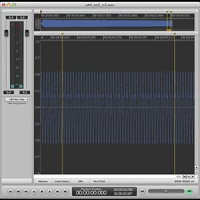 A Tremolo effect is modulate by "modulation wheel"
All the samples of the Vintage Accordion are perfectly looped with "DSPQuattro" audio editing software. In this way, you can play very long notes from your instruments without interruptions. Control panel with: single voice volume (16", 8" and 4"), key noises volume (key-on and key-off). Reverb on/off, time and wet/dry controls. Accordion registers are selectionable in the control panel or by Key-switches. Play it now and ...FREE! Vintage accordion comes with its own sample player, the Uvi Workstation 2 (v2.5.6 or later). 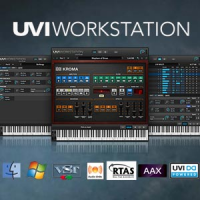 Uvi provides it for free! It works on Mac (10.6 or later) and PC (windows XP SP2 or later), in standalone or as a plugin (VST, AU, AAX, RTAS, MAS) and in 32 and 64 bits. You can use it with Motu Machfive too (v. 3.2.1 or later). Vintage accordion is protected by the PACE Protection System. 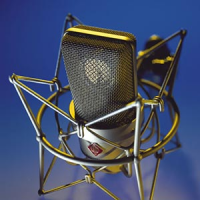 You can register your virtual instrument to your computer or to an iLok key (version 1 or version 2). 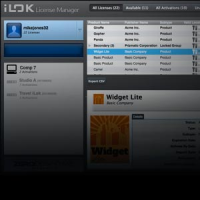 To authorize your library, please download the iLok authorization manager. 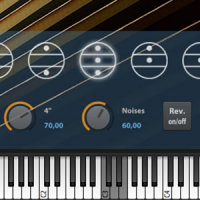 Vintage accordion is based on UVI Workstation sound engine. Will be using in pro tools for recording original music. Too early to say how useful it will be but demo looked good. Happy with the product and the service. Thank you Best Service ! 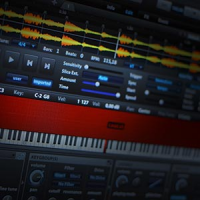 I´m using in Cubase Artist. Well, I have any problems with bridge connection. I would recomend if you are intesrested in a good sound of this instrument. Really, it has a good sound.Fantastic!